Similar Balls: Same Hook Potential, Lane Conditions & Coverstock as the Track Tundra Solid. The Tundra Solid is EXACTLY what the Track line needed, and something everyone needs in their bag for later in the block - whether it is league or tournament. As a right hander, I have my Tundra solid drilled with the pin under my ring finger and the CG kicked LEFT into my palm. This layout worked really well on my Onyx Vibe, and found similar success with the Tundra Solid. For me, the Tundra Solid reads the dry mid-lane very well and has enough "kick" to roll strong through the pins. The Heat Xtreme is probably my all-time favorite league ball, so modifying that coverstock to create the Tundra Solid was a stroke of genius. Where the pearl cover of the Tundra may be too clean at times, the Tundra Solid has enough cover strength to react well with both oil and friction - and for high rev bowlers could be the first ball out of the ball on league shots and medium patterns. I can tell I will be using this ball a lot in many situations. By TrackmanBob from Pacifica, CA. My new Track Tundra Solid will be in the bag a long time. I have nothing bad to say about this ball. Allot of bowling balls have gotten a lot more hype and promotion but this one will stand the test of time. Like its brother the Tundra Pearl, you'll see these in bags for years to come. I drilled the Tundra solid 40x4 1/4x 20 (Pin about 2 inches above the fingers) this is not a bad layout for me I wanted something a little stronger on the lanes when they are to fresh. This worked out perfect I don't have to play far right in order to see movement out of the Tundra, I can also play in a little as long as it doesn't skid in the oil to long. The move off the friction is smooth and the finish is nice. I was surprised to see I could play on short and medium sport patterns with this layout, the Tundra will be a good ball when I get on more sport patterns early and late in the day. 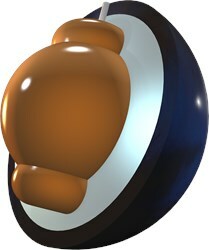 Definitely A Must Add Ball For The Tournament Bowler! Im Glad To Track Came Out With This Tundra Solid..Was Definitely A Fan Of The Original But This Adds A New Addition To The Reaction..Just Like The Original Good For Medium To Dry Lane Oil Patterns But This One Adds More Backend Drive Through The Pins With The Solid Coverstock! Good For Drier House Shots But Also Medium To Lower Volume Sport Patterns...This Ball Allows You To Be Versatile After Transitions Hits Gets Down The Lane And Drives Through The Pins..This Ball Would Be A Great Tournament Ball To Add To Your Arsenal For The Shorter Volume Patterns Or Long Format Tournaments..Definitely A Ball That Will Keep You Out Of Trouble Once The Lanes Get Tough! How would the Tundra compare to the Storm Hy-Road Pearl or Nano? Thanks! The difference between the Tundra Solid and the Hy-Road Pearl is that the coverstocks will be different. One is a solid and the other is a pearl. The difference between the Tundra Solid and the Nano is that the lane conditions are going to be different. The Nano will have medium oily lane conditions and the Tundra Solid is for light to medium oiled lane conditions. 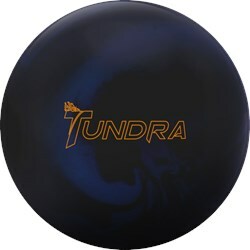 Due to the time it takes to produce the Track Tundra Solid ball it will ship in immediately. We cannot ship this ball outside the United States.